A friend just brought these videos to my attention. I usually don't worry about this sort of stuff but these max videos are exercises that i spent a lot of time originating and continue to use professionally. I would appreciate some credit on the max video that are very much like videos on DesignReform. thanks! 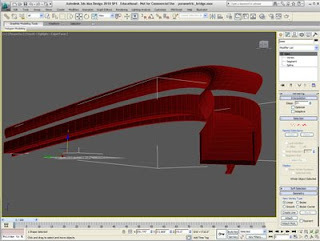 i´m just starting to knew about parametric design, your tutorials are the best!! it helps me a lot!!! Sorry - Dave - this comment is so late - I just saw your comment - yes I will definately credit your design reform site as a source - I often do this directly through comment in my videos when I've learned something there - or through the descriptions. Please - feel free to duplicate or link to whatever you find on my site.